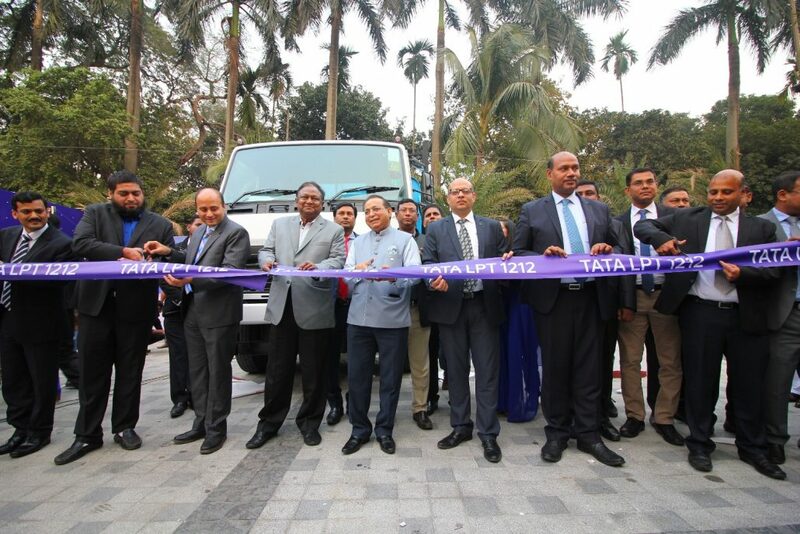 Tata Motors in association with Nitol Motors Ltd on Friday launched the all-new Tata LPT 1212 LCV (light commercial vehicle) in Bangladesh. The Tata LPT 1212 light truck powered by the 497 TCIC common-rail engine with proven engine life and reparability. The LPT 1212 is designed to deliver improved performance and better fuel efficiency with lower emissions and levels of noise and vibrations, according to reports. The new Tata vehicle’s design, excellent performance and high load carrying ability have been adapted for the new commercial vehicle buyer in Bangladesh. The engine is configured to deliver optimum power output at even lower rpms, enabling driving with lesser gearshifts while providing better fuel efficiency. Tata Motors says the bigger clutch diameter of 330mm allows easy engagement of gears leading to driving comfort and efficient power transmission. The high ground clearance of 245mm helps transport cargo even over rough terrain. The truck is shod with bigger tyres (9X20 – 16 PR). It has been perveived as the ideal solution for transporting cargo for the Bangladeshi market with a huge potential for prospective buyers.